We live in a society where females are labeled as “too sensitive” for showing emotion and males are branded as “weak” and taught that “being a man” means you don’t show emotions. Popular television shows and movies further perpetuate these ideals by turning crying males into a laughing matter and emotional females into an annoyance. So what kind of message does this send to people? The message is that emotions and emotional experiences are bad. People are left feeling confused and uneducated on how to express and cope with difficult emotions such as anger, pain, and sadness. This can lead to people experiencing overwhelming feelings of shame, embarrassment, and debilitation by their emotions. Subsequently, people resort to self-harm behavior or tend to avoid their feelings, which only intensifies them and surfaces as passive aggression. People also turn to unhealthy coping techniques such as drugs and alcohol to numb and self-medicate. Unfortunately, with self-medication, the vicious cycle begins, as the underlying problem is still present because it is not dealt with in a healthy, effective way; the emotions become too difficult to manage, and the substance use, which was originally intended to be a numbing agent, quickly develops into a lifelong addiction. The result is that substance use ends up being a symptom of unaddressed and underlying emotional wounds. At Apex Recovery, our trained clinical staff utilize Dialectical Behavioral Therapy (DBT), a modality developed by Marsha Linehan. DBT, a behavioral therapy supported by evidence-based programs for the treatment of substance use, works in providing insight into emotions and educating people on how to live with their emotions to allow for more manageable, functional lives. Throughout a lifetime, everyone experiences difficult emotions. A mother experiences anxiety about her son driving for the first time; a father feels sadness about his daughter going off to college; a girlfriend feels anger upon finding out her boyfriend cheated, and a young teen feels pain and grief upon the death of his grandmother. Emotions are inevitable, and while they may often feel very painful or uncomfortable, learning to express and cope with them effectively is crucial. As outlined in the Dialectical Behavioral Therapy Skills Workbook, DBT is comprised of four important coping skills: distress tolerance, mindfulness, emotion regulation, and interpersonal effectiveness. When used effectively, these skills can prevent emotional paralysis and can promote the likelihood of individuals becoming functional members of society. It is important to note that these skills cannot just be read and forgotten; they have to be applied behaviorally. Let’s take a deeper look into each one of these skills to give you a preview of the techniques the therapists at Apex utilize to teach and support our clients. Emotions can affect people differently. Many emotions will be minor while others will feel more intense and overwhelming. Some emotions are easier to predict, and others might feel out of the blue. As explained earlier, a majority of people handle their emotions in unhelpful and unhealthy ways. Distress tolerance skills are the healthier alternative and prevent further pain and suffering. They are organized into categories of distraction and relaxation. DBT identifies distraction techniques as a means of temporarily ceasing the strong emotion and creating time and space for the individual to get to a calmer place where they can make more rational decisions. Distraction is not about avoiding the situation long-term, but instead should be thought of as pushing the distressing situation aside and leaving it for awhile until you are able to resolve the problem or fully process the emotional experience. Perhaps Scarlett O’Hara in the classic movie Gone With The Wind said it best when she stated, “I won’t think about that today, I’ll think about that tomorrow.” DBT introduces a multitude of different distraction techniques and an abundance of skills to try. For example, a young male who struggles with meth and heroin addiction also happens to be severely reactive to stress and struggles with the high demands of family, work, and school. Prior to entering DBT treatment at Apex Recovery, he likely turns to drugs and alcohol to avoid his intense anxiety. What this young male does not realize, is that his temporary solution isn’t much of a solution at all. Instead, it is an avoidance strategy that only prolongs and adds to the original problem. Through working with his individual therapist and being introduced to DBT, this young male can be apprised of distraction techniques. Instead of resorting to substance use when he feels anxious again, this man decides to go for a walk, watch the sunset, and call a friend, which are all healthy alternatives to drug use. After engaging in these activities, he feels less anxious and more cognitively alert. With the decrease in his anxiety, he is able to come up with the idea to create a to-do list to organize his priorities. Instead of avoiding the problem and participating in self-harm behaviors, suicidal behaviors, and self-injurious behaviors to his body, he decreased his anxiety and cleared his mind to the point of devising an effective plan to address the original problem that led to his anxiety in the first place. Along with distraction techniques, DBT describes the importance of self-soothing as a form of distress tolerance. Self-soothing can be done with each of the senses and helps to relax the body and mind. When you think of self-soothing, picture an afternoon at a luxury spa. Dim lights soothe the eyes while scented candles and oils target your sense of smell on a backdrop of calming classical music. Warm towels and a relaxing massage soothe your body while cucumber infused water is pleasant tasting. It is impossible to leave the spa upset when all of your senses are soothed. This same concept can be applied on a daily basis and can help manage overwhelming stressors to prevent substance abuse. For example, a young female who struggles with severe alcohol abuse uses alcohol to avoid strong feelings of sadness and anger following an argument she had with a colleague. Her regret and guilt lead to her drinking a bottle of wine late into the night. She wakes up the next morning with an intense headache and body pains from the alcohol. She struggles to make it on time to work and finds herself avoiding eye contact with her colleague. She has now created more problems as she feels physically ill, and the conflict with her colleague is unresolved. However, following her discharge from Apex Recovery, she has learned new ways of handling such interactions and feelings of sadness, anger, and guilt. Instead of reaching for a bottle of wine when she has a conflict with a colleague, she now knows she can soothe herself by lighting candles, painting a picture, and playing calming music. She does this long enough to the point of devising a plan to get a good night’s rest, get to work early, and approach her colleague to apologize for her tone and offer feedback on how to make the project more effective. She feels physically rejuvenated and better about her relationship with her colleagues. Mindfulness is another crucial skill of DBT. Mindfulness is a type of meditation that brings awareness to the present moment without judgment. Mindfulness has been around for many years and is known to decrease anxiety and depression while increasing relaxation levels. Mindfulness skills are important because they help people to focus on the present moment and help people to become better oriented to their thoughts and experiences. Some people might find mindfulness challenging as it requires time and concentration. Fortunately for the beginner, there are several different mindfulness exercises introduced by DBT. Too often, people can fixate on the past or perseverate on the future, both of which are outside of one’s control and can lead to overwhelming emotions. The focus on the past events often leads to depressive emotions, while focusing on the future contributes to fear and anxiety. With the multitude of responsibilities that work, school, families, and relationships can create, people can get lost in the fast-paced demands of life and take time, loved ones, and their surrounding environment for granted. The beauty of mindfulness is its ability to slow down a person’s thought process by orienting them to the one thing they do have control over, the present moment. Mindfulness is done through increasing awareness and engaging the five senses in the present moment. To put things into perspective, we’ll discuss a young female who struggled with severe alcohol and marijuana use. She has experienced high anxiety since she was 14, as she grew up in a big family with five older siblings who constantly fought and competed with one another and two parents who were rarely seen in the same room together. Being the youngest, she felt pressured to excel in all areas of her life to establish her sense of self-worth and her role in the family. To her, failure was not an option. She spent countless hours studying and applying to every after-school program that was offered with a desire to create a different life experience than the one that she knew. She quickly became overworked and overwhelmed by constant due dates and practices. Due to consistent stress and zero free-time, she failed to learn healthy ways to manage stress and unfortunately resorted to substance use to cope. With a toxic home environment and a poor support system, she felt she had no one to turn to for support and her substance use quickly spiraled out of control. Her anxiety got worse, her grades dropped, and her physical and mental health began to suffer. 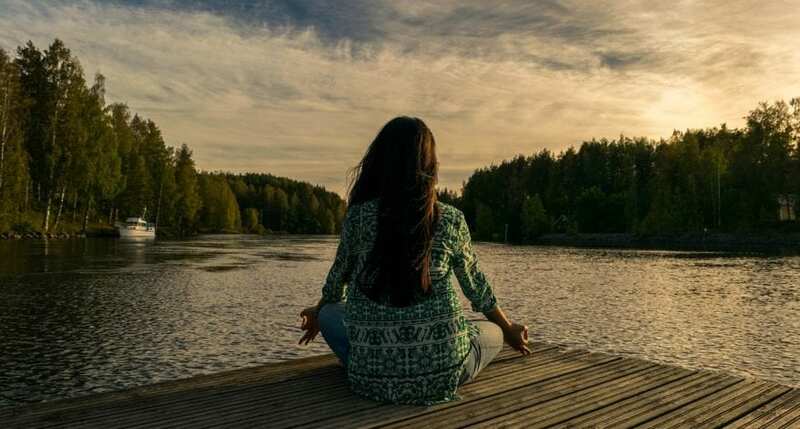 After a successful stay at Apex Recovery, she left having been introduced to a DBT program and had several different mindfulness techniques to try. A week after leaving treatment, she started to feel a panic attack come on as she looked at her schedule and stressed over her responsibilities at work and school. Her thoughts were racing; her heart was pounding, and she began to sweat and feel an enormous amount of worry. She had a fleeting thought to have a drink and smoke marijuana to calm her nerves, but then she decided to implement her mindfulness skills instead, as she did not want to jeopardize her sobriety. She closed the door of her bedroom, closed her eyes, did deep breathing for several minutes, and focused on her breath as well as the sounds around her. She noticed soft music playing in the distance that she had not noticed before, and she realized she could hear the laughter of children from the yard next door, which was comforting to her. As she continued to focus on her breathing, she gently reminded herself that she was safe. She quickly noticed that her heart rate slowed down, and she felt an overwhelming sense of calm sweep over her body. When she felt more at peace, she took another look at her schedule and realized there were several opportunities to move things around and reschedule appointments to later times. With a fresh set of eyes and a much calmer demeanor, she realized she did not see her schedule as clearly as she did after she engaged in her mindfulness techniques. Along with distress tolerance and mindfulness, emotion regulation is another important DBT skill. Emotions are the body’s responses to different events and can vary in intensity. Emotions can provide valuable information, but if they are not handled effectively, emotions can feel overwhelming and unmanageable. As humans, we experience both primary and secondary emotions. Primary emotions are initial reactions such as sadness or happiness while secondary emotions are the responses to those initial reactions, such as anger or guilt. Since emotions can vary in intensity and have a strong impact on the mind and body, it is important to bring awareness to them, to be in control of them, and increase the likelihood of making healthy decisions. As seen too often, when people are highly emotional, they lose the ability to think clearly and make mistakes they might not have made had they been more grounded and level-headed. DBT introduces nine emotion regulation skills to help people better manage their emotions. These skills include recognizing the emotion, increasing positive emotions, and problem-solving to name a few. DBT skills based questions and exercises to help the individual take a deeper look into the origin and effects of their emotions. This is helpful in aiding someone who has very little knowledge about their emotions and accompanying behaviors. To understand emotion regulation skills, imagine a young male diagnosed with Borderline Personality Disorder who struggles with addiction to alcohol. He is challenged to understand his emotions and notices that he has anger outbursts and crying spells frequently and gets frustrated because he does not understand the emotions he is experiencing. He feels embarrassed and ashamed of his emotional ups and downs and resorts to heavy drinking in an attempt to suppress his feelings and avoid the frustration. However, his drinking has gotten so bad that it’s started to affect his health and exacerbate his mood fluctuations, yet he notices that he cannot stop drinking. He enters treatment at Apex Recovery and gets exposure to Dialectical Behavior Therapy, DBT skills training, and coping skills therapy. He feels grateful and relieved when he gains insight into his emotions, their origin, and ways to manage them. With the help of a therapist, he begins to understand how his childhood and life experiences have shaped his outlook and learn to accept rather than judge his emotions, which decreases his shame and frustration. He leaves treatment with problem-solving skills so that the next time he experiences strong waves of anger or sadness (signs of the personality disorder), he employs his newly learned techniques instead of further damaging his body with toxic chemicals. The fourth skill of DBT is interpersonal effectiveness. Interpersonal effectiveness skills are a combination of social skills, communication skills, and negotiation skills. As a species, we are social beings, and we get involved in several different types of relationships, whether they are familial, amicable, working, or romantic. Relationships play a major role in our lives and can have a significant impact on our mood. As such, effective communication can help promote healthy, positive emotions, so it’s important to be aware of what those interpersonal effectiveness skills are. Similar to the other DBT skills, interpersonal effectiveness is learned through engagement with helpful questions, exercises, and logs to orient the individual to their unhelpful patterns and teach more effective ways of communicating. These skill sets are aimed at bringing awareness to important relational topics such as mindful attention, passive and aggressive behavior, and obstacles to interpersonal effectiveness. These skills help develop assertiveness, boundaries in relationships, and self-advocacy. For example, a male in his mid-forties comes to treatment with a bad temper and a dependence on cocaine and alcohol. Prior to treatment, he fought with his wife frequently following long hours at the office. His kids stopped talking to him, and he noticed that his relationship with his friends began to suffer as well. Feeling the pressure to “be a man,” he stuffed his frustrations instead of naming them and turned to alcohol and cocaine to avoid his feelings of confusion, sadness, and anger. While in treatment and individual therapy, this man was highly motivated to address the underlying problem and learned ways to better communicate. He gained insight that his anger was a secondary response to fears and stress from work. He learned to identify his emotions and communicate them in a way that did not involve explosive anger, which ultimately improved the relationship with his wife. He learned how to actively listen and ask questions that would prompt a genuine response. He also learned how to advocate for himself by setting boundaries, which he planned to do at work to cut down on the amount of stress he was experiencing. He left treatment feeling confident in his abilities and enrolled in couples therapy with his wife. Their communication improved significantly, as has their level of happiness and intimacy. As described, emotions are the body’s natural response to outside experiences and events. While some emotions can be pleasurable, others will feel painful and difficult. DBT therapy is an evidence-based therapeutic approach that helps educate people on their emotions and provide helpful and safe coping techniques so that people are not resorting to self-destructive behaviors and harmful coping strategies such as self-mutilation, eating disorders, and substance abuse. At Apex Recovery, with the help of our trained clinical staff, you will learn how to implement Dialectical Behavioral Therapy techniques as you embark on the journey with a DBT therapist. We believe that successful treatment is aimed towards not only stopping the use of drugs and alcohol but also through addressing the underlying emotional wounds our clients may have been too afraid or unaware of to address. Call Apex Recovery today.